We do many things to always improve our quality of service. Therefore, all Knights must go through different levels of education and training. We never act alone. We are always present with a minimum of 2 members. WE are strictly Against violence, but, if someone WERE to attack a Brother/Sister, or assult a Child or one of the Vulnerable, with no doubt whatsoever, WE WILL ACT. 1 We ride with patches to show the public and children we exist and we are here to help. 2 We have information programs about abuse for schools and parents meetings. 4 We help children to interact with police and social services including escorting to authorities if necessary. 5 We make sure abusers never get close to children. Every day 1000’s of children are abused without anyone intervening. Have you ever seen a child totally beaten up? Or a small child abused irreparably? Few people do. If they are abused as small kids they usually think this is normal until they get older. But by that time their lives are destroyed when it could have been stopped. So many of us know or see children being abused, but do not interfere or call police because they feel it is not their business. 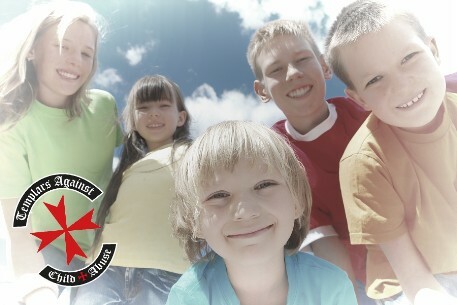 Templars Against Child Abuse (TACA) wants to create a safer environment for abused children. 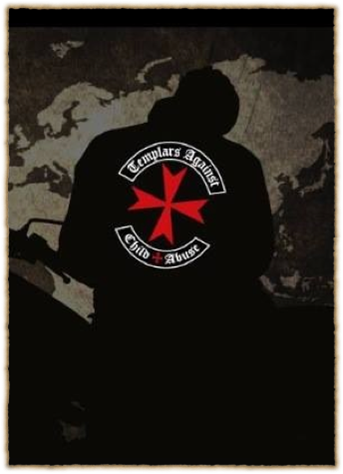 We are an army of bikers, our crusade is ensure that Children do not live in fear. We work with with local officials who are already in place to protect children. We want all abused Children to recognize our uniform, and that if they reach out for help, we will try to help, body and soul. Through initiatives like "Neighborhood Watch" and our after school programs, we want to be seen as THE community leader when it comes to helping stamp out child abuse. It is heart warming to see the children playing and smiling, knowing that they are protected by TACA.